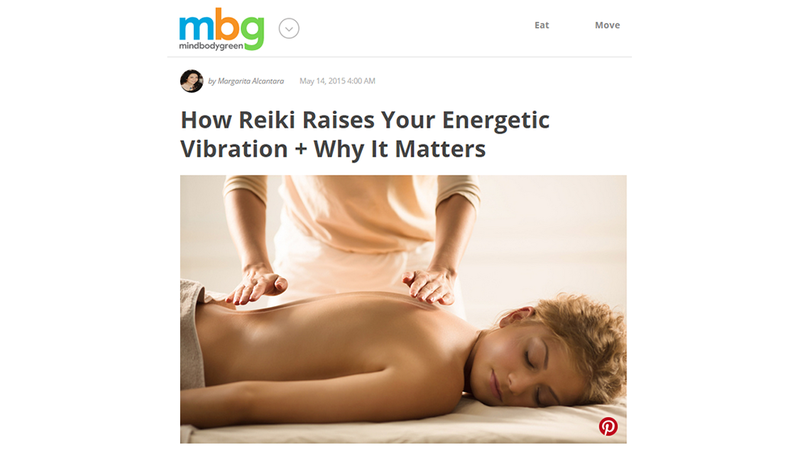 I’m so excited that MindBodyGreen just published my article, today, called, “How Reiki Raises Your Energetic Vibration + Why It Matters”! Have you ever wondered why raising your vibration is important? In this article, I talk about what happens to the physical and energetic bodies when we go through life with denser vibrations vs. higher vibrations, and how Reiki helps to raise them. I am passionate about the healing work that I do, and I am just as passionate about sharing it, and creating dialogue around it! So, if you enjoy the article, please drop me a line in the comments below, or on the MindBodyGreen article itself. Blessings. Copyright © 2015 by Alcantara Acupuncture & Healing Arts. All rights reserved. You may quote, copy, translate and link to this article, in its entirety, on free, non-donation based websites only, as long as you include the author name and a working link back to this website. All other uses are strictly prohibited.